Give your 3 series a unique upgrade by switching your OEM steering wheel out for this OEM BMW M3 Steering Wheel. 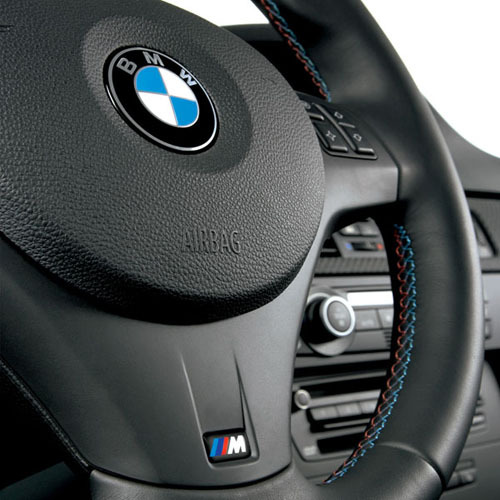 This BMW M3 Steering wheel features the a thicker wheel surface, enhanced grips, and BMW's unique tri-stitched colors. This is the same steering wheel that comes equipped on the new E90, E92, and E93 M3's. Please note the airbag is not included, you can use your current airbag only if it is the round sport airbag. 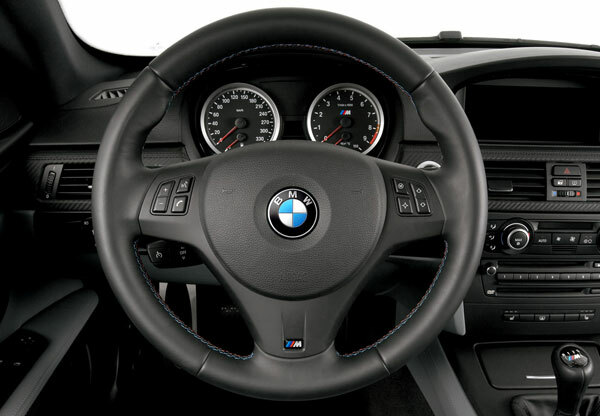 This OEM BMW M3 Steering wheel uses your existing steering wheel cover, or you can upgrade to the M3 steering wheel cover (see attributes). The OEM BMW M3 Steering Wheel will add a unique appearance to the interior of any E90, E91, E92, or E93 3 series. To make the BMW M3 Steering Wheel work properly you will need to transfer your multi-function buttons over from your existing sport steering wheel. Installation is classified as medium. You will need standard hand tools to remove your existing steering wheel and install this BMW M3 Steering Wheel.